Vitamin C- better known to Vitaderm as Ascorbic Acid is not only a powerful anti-oxidant but also anti-ageing through stimulation of collagen as well as a skin brightener to help reverse the skin damage caused by over exposure to the sun. 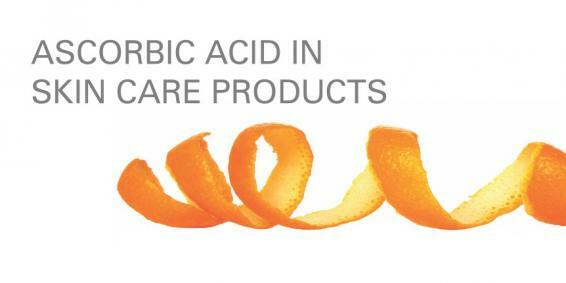 Vitamin C however has a tendency to be unstable, therefore Ascorbic Acid is the preferred choice in the Vitaderm range. It allows for two starch molecules to surround the Vitamin C ensuring that the product remains stable, and penetration of the active ingredient is enhanced ensuring a better end result. Ascorbic Acid works in different ways on the skin, it plays a vital role in metabolism of skin cells, it has a repair function therefore rejuvenating collagen fibers resulting in tighter skin, helps to prevent the Tyrosinase enzyme from developing pigmentation, as well as decreasing existing melanin brought on by sun exposure, pregnancy and hormones. Lastly Ascorbic Acid helps to repair cell damage through its anti-oxidant effect. Ascorbic Acid can be used on a daily basis allowing it to become cumulative, the Ascorbic Acid concentration of the Vitaderm Radian-C Serum prevents any irritation on the skin while allowing maximum penetration. Due to Ascorbic Acid having a water soluble property, it allows for all skin types and skin conditions to use it. Due to the activeness of the ingredient it is suggested that the product is introduced slowly for clients that may be slightly more sensitive.